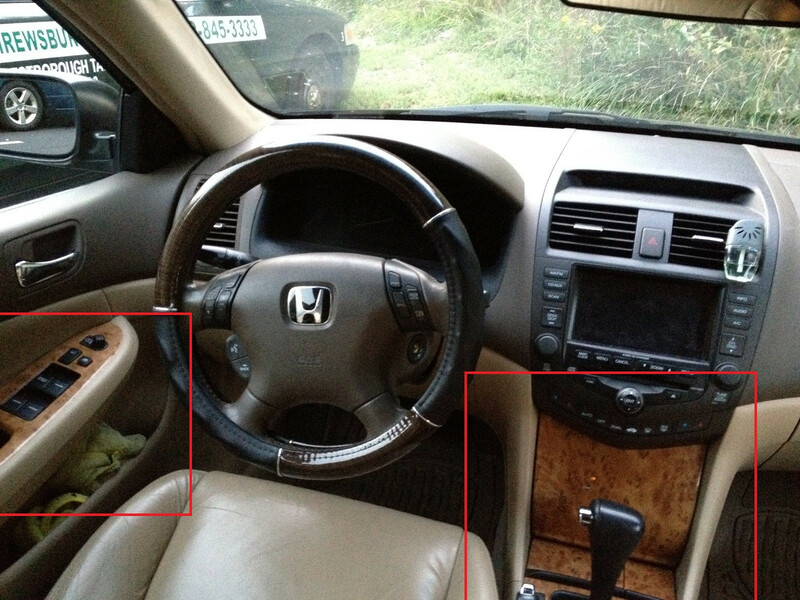 Is there anyway to replace the "wood" panels in the doors and center console with black or any other color/style? I don't really like the look. Here is a pic with boxes showing what I am talking about. I don't know the exact name of said panels. Note: What's pictured isn't my car, just a random picture taken from google. They come in black. New from the dealer is kind of expensive. Ebay has new and used ones listed for a lot less.